A versatile cobble in the Natural Collection with the rustic ambiance of natural stone. 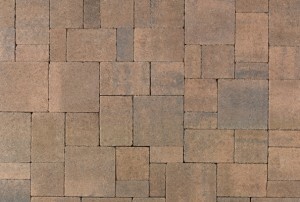 Castle Cobble is a tumbled, non-chamfered stone, providing beautiful, inviting character in any setting. Stones have a FLAT top with NO manufactured chamfer or spacer. Stones should be installed with a 1/16-inch to 1/8-inch sand joint.